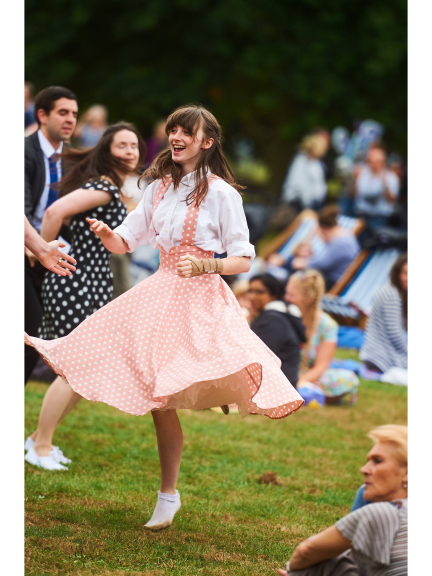 Prepare to get those toes tapping for one of the UK’s largest FREE jazz festivals – returning to Watford Borough Council’s BIG Bandstand in Cassiobury Park on Sunday 30 July. The historic Watford landmark will host some of the best internationally acclaimed jazz musicians, bands and dancers during the afternoon extravaganza from 1-6pm. There will be live cabarets, dance classes for children and adults, professional dance displays, a vintage photo booth and more – all for free. The JiveSwing Festival at the bandstand was attended by nearly 2,000 people last year – and returns for 2017 as the BIG JiveSwing Festival, with an even bigger line-up. A DJ playing swing and jazz music by Jeep Jump Jive at 12.30pm. Live music from Phillips Swing Septet from 1pm. The JiveSwing Hoppers at 2pm. A JiveSwing dance class at 2.05pm. Live music from Down for the Count at 2.15pm. A dance cabaret from Charlie’s Angels at 3.15pm. Live music from Stolen Moments at 3.30pm. A second JiveSwing dance class and performance at 4.30pm. Live music from Britain’s Got Talent semi-finalists The Jive Aces at 5pm. Watford’s bandstand was restored and returned to Cassiobury Park, where it originally opened in 1912, as part of a £6.6m restoration of the historic beauty sport. The project is being funded by Watford Borough Council, the Heritage Lottery Fund and the Big Lottery Fund.